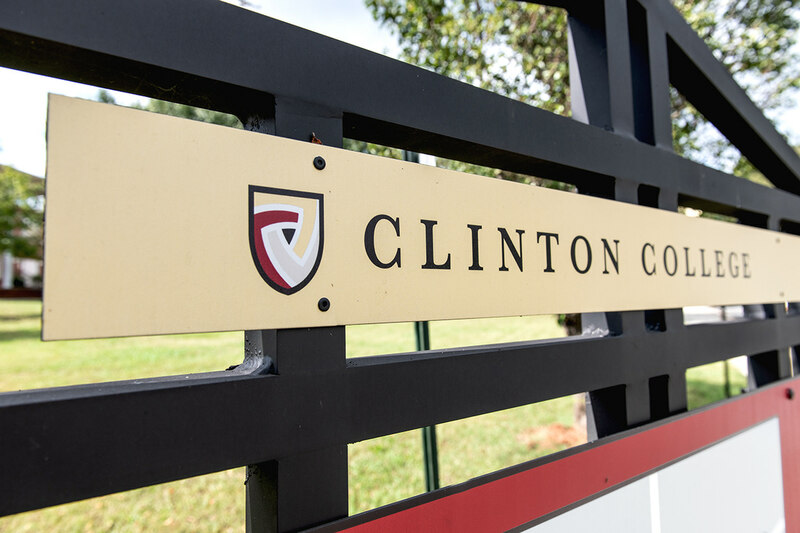 As part of a larger rebranding assignment, Clinton College needed to create campus identity wayfinding and signage to mark the sense of place within the community. 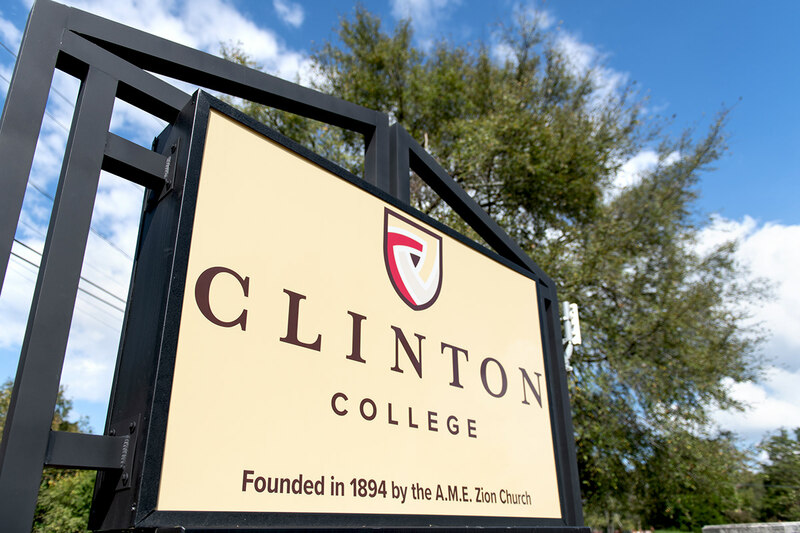 The Clinton College campus sign system includes four distinct components. 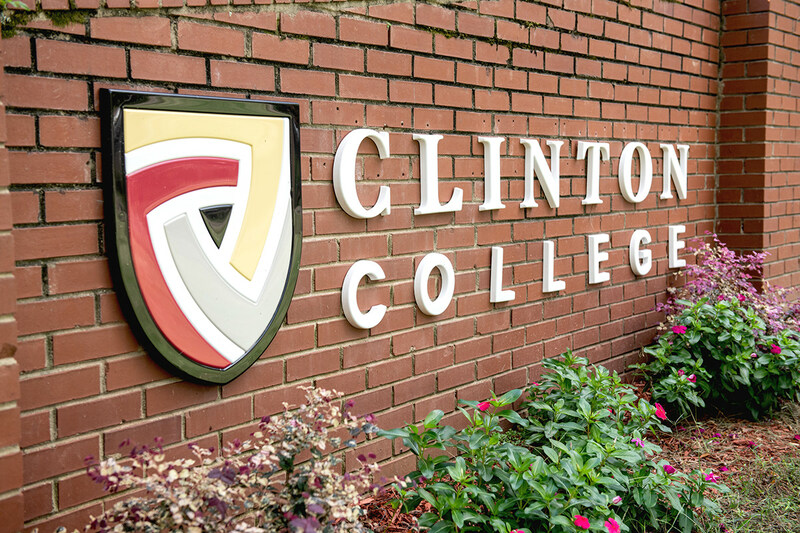 These sign types will take visual cues from the college’s overall brand standards. 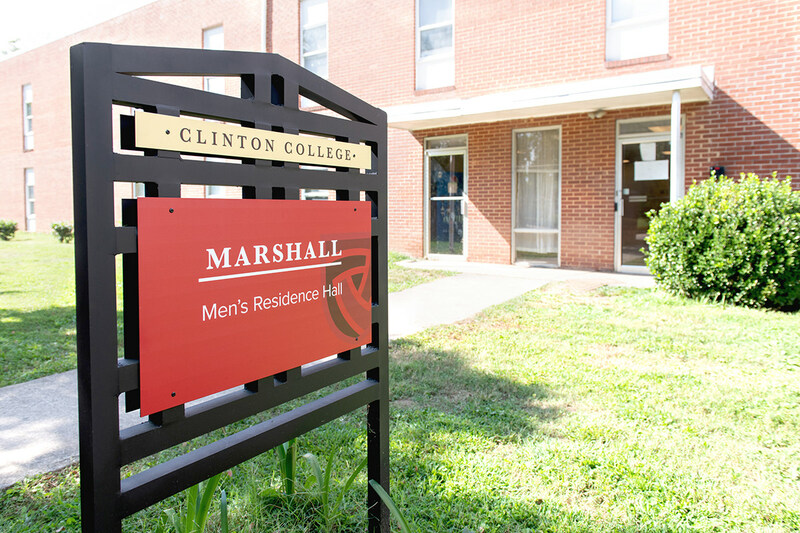 Entrance Signs acknowledge major entrances, as well as new approach portals. These signs delineate the “sense of entrance” and provide a “sense of place” at the proposed locations. 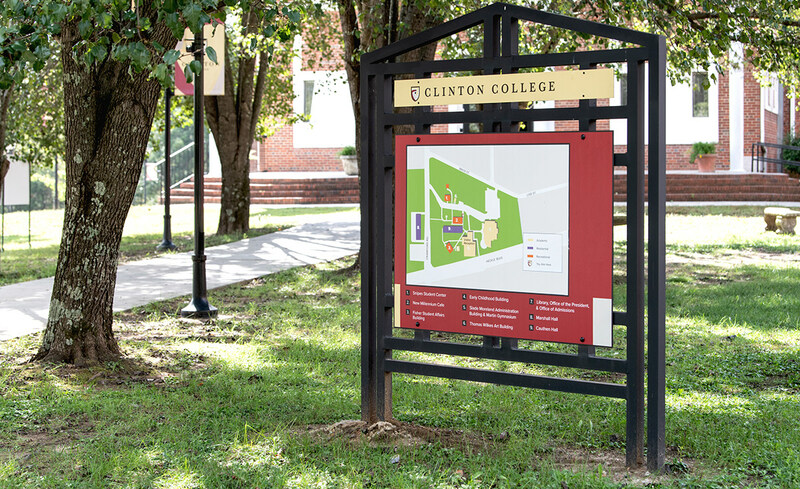 Pedestrian wayfinding helps visitors to navigate campus. 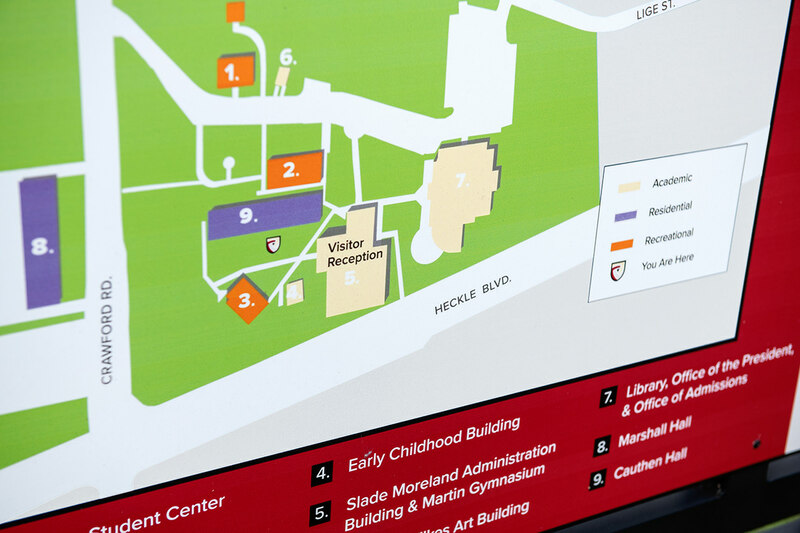 Visitors can identify their location by a “You are Here” on a map and choose a way to get to their destination. 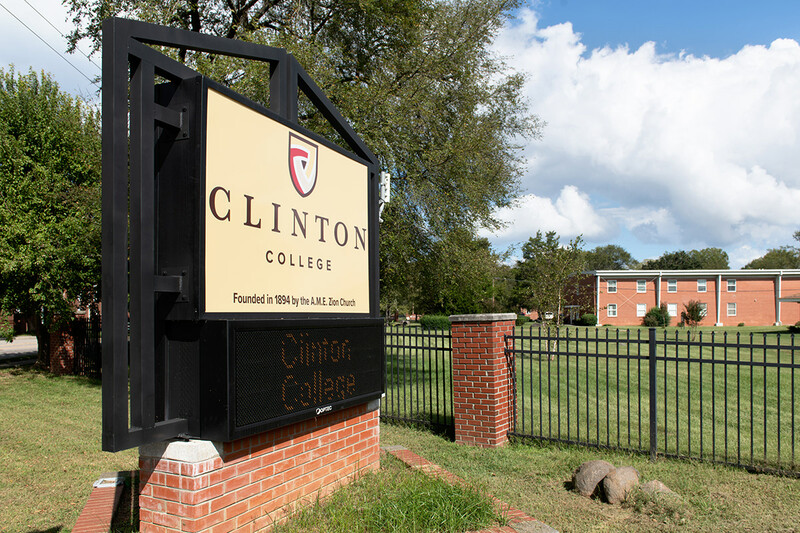 Building and Residential Hall signs identify buildings on the Clinton College campus. The structure on all signs includes a black aluminum frame and aluminum panels to display graphics. 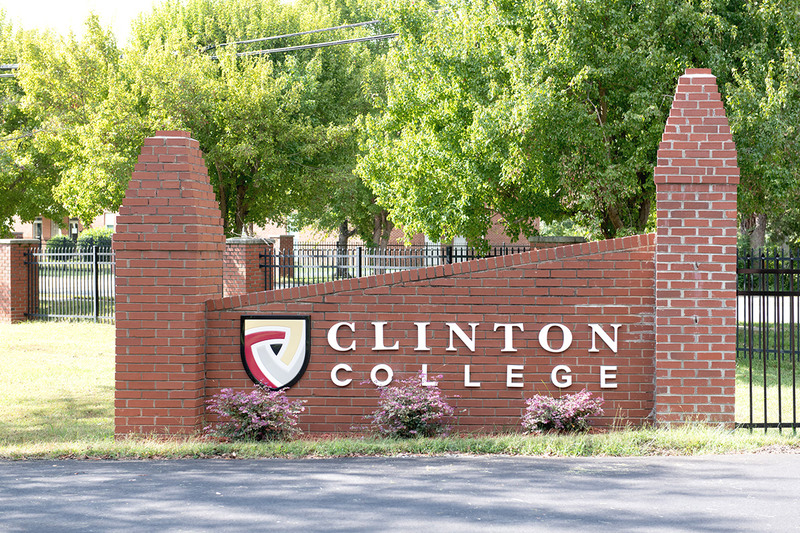 The entrance sign consists of an LED message board cabinet below supported on a masonry foundation. 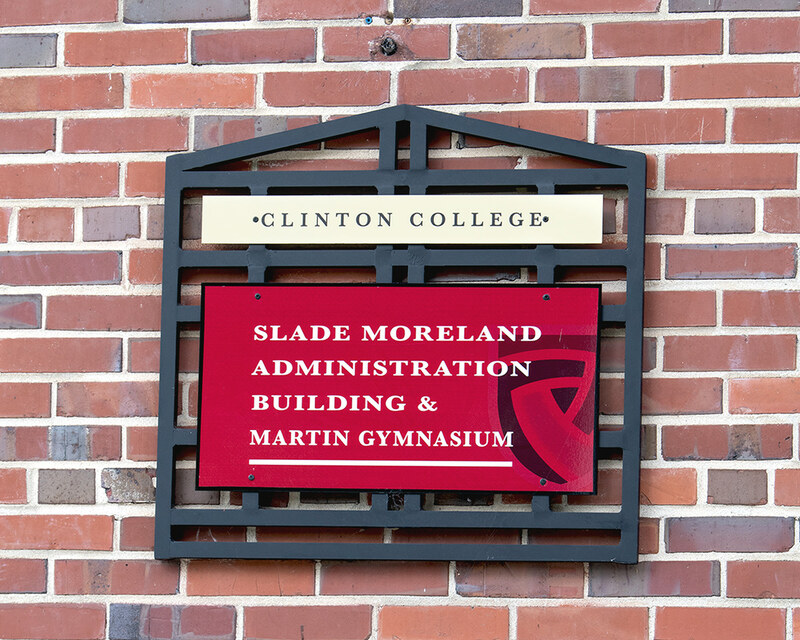 Vinyl graphics are printed on 3/16” solar grade Lexan polycarbonate and fixed to an aluminum panel. 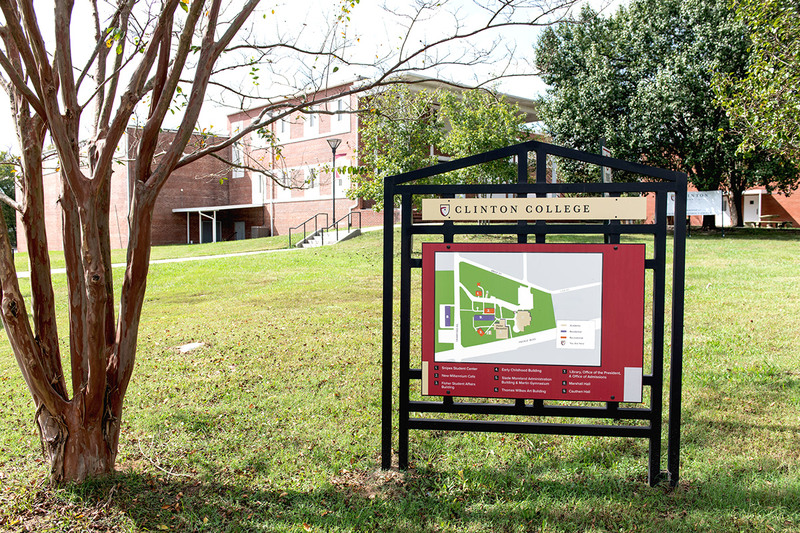 Wayfinding and signage design for Clinton College in Rock Hill. 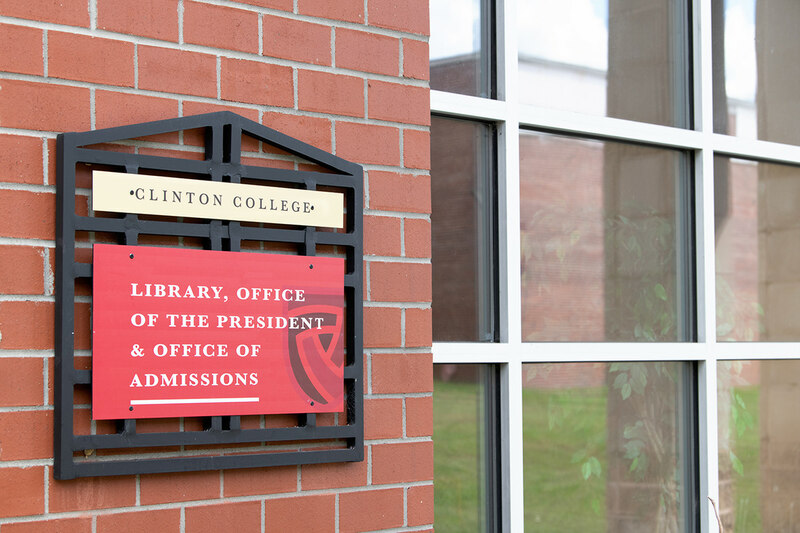 Clinton is a higher education institution that needed environmental graphics as part of our agency's larger rebrand. Credits: Project Management by Sababa Design, creative director: Jacob Fremderman: Construction and Installation by Jim Brown Signs: Photography by Mike Baker.